why is chiropractic care appropriate for pets? 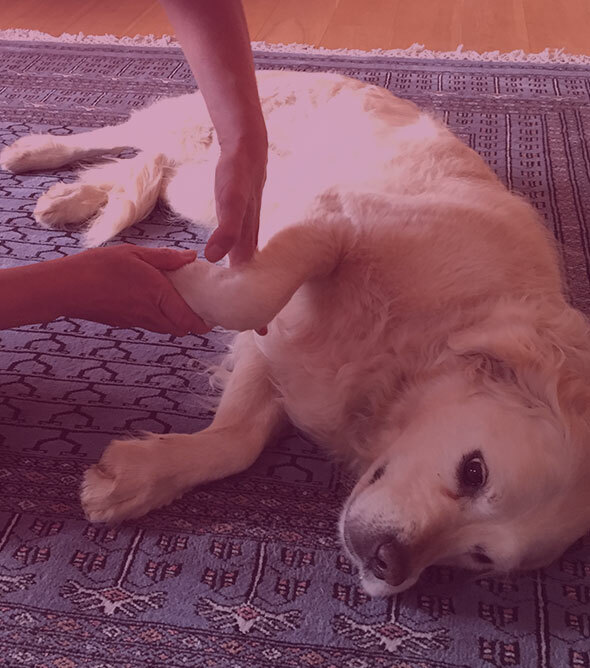 Like people, activities of daily living can cause your pet, especially dogs, to become stiff, sore, show signs of pain and appear lame as they compensate for the affected area. Many dogs have periods of inactivity and then bursts of movement such as walking, playing and chasing or following a discipline such as obedience training, fly ball, or pulling a sledge, to name a few. And like people, as they get older they can experience joint pain due to osteoarthritis and in some cases disc problems. Left alone, the initial problem may cause other compensatory changes in the animals’ body and further stiffness and lameness may become apparent through other parts of the animals spine and joints. Chiropractic treatment helps to rebalance the body as a result of the different stresses and strains placed upon our pets bodies. As with human treatment we use short, specific, quick adjustments to make a correction to the individual vertebrae and bring the body back into balance. I always work in conjunction with your veterinary surgeon and treatment cannot be undertaken without your vets permission. Legally, before chiropractic treatment can be undertaken for any animal, veterinary approval must be sought and sanctioned by your vet. This can be done by the owner directly seeking permission, although I am also very happy to liaise with the vet. Initially the animal’s history will be taken and the owner will be asked about their canine’s activities of daily living and any specialist activities they participate in such as agility, obedience, flyball, or just being boisterous! Next the entire spine and all limbs are examined and a working assessment made. 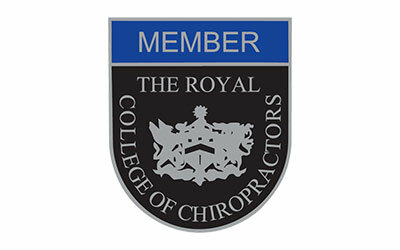 The chiropractic adjustment consists of a short, quick thrust to one specific joint at a time. Skilled spinal manipulation is not normally painful. 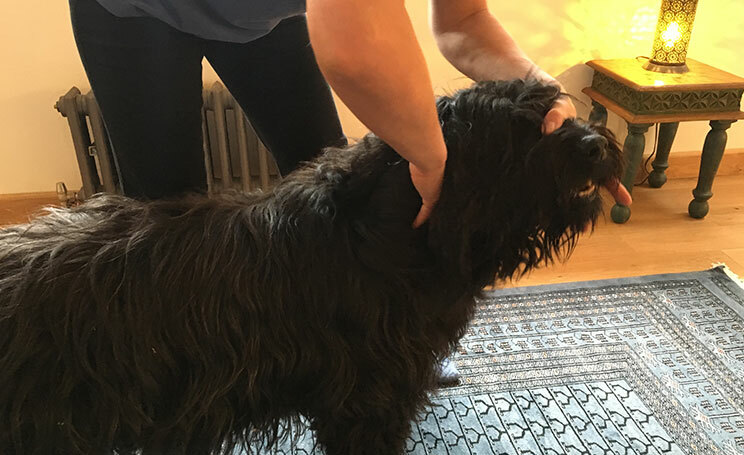 Sometimes certain aspects can be uncomfortable, however most animals enjoy the treatment; it is quite common for them to become increasingly relaxed and even drowsy as the treatment progresses.